How can I change the IP address of TeraStation? - Details of an answer | Buffalo Inc.
How can I change the IP address of TeraStation? 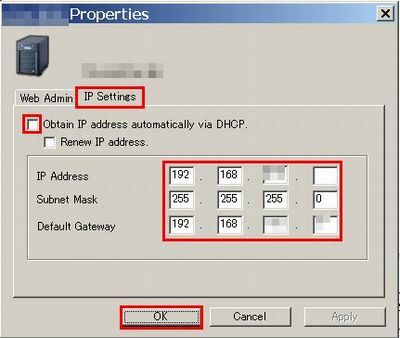 Change IP address by one of the below methods. Navigate to [Start]-[Program]-[Buffalo]-[NAS Navigator2] or double-click the [NAS Navigator2] icon on your Desktop. 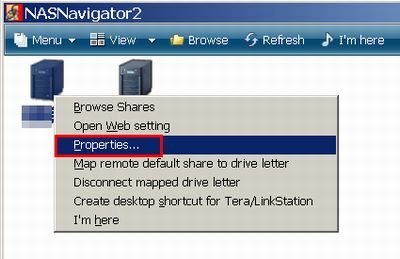 Click the [NAS Navigator2] icon in the Doc. Right-click the icon of the product, choose [Properties]. For Macintosh, hold control key and click, choose [Configure]-[IP Address]. The screen is the sample for Windows. 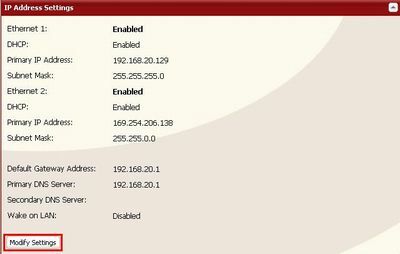 Enter the setting for your network, click [OK]. For Macintosh, click [Apply] . Method 2. Change on setting screen of the product. 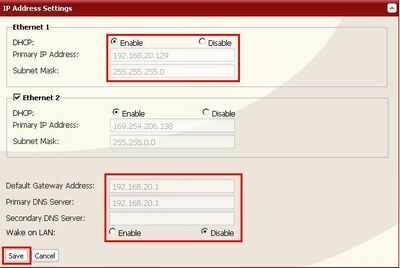 In the Web Admin interface, navigate to [Network]-[Settings], and click [Modify Settings] under [IP Address Settings]. Enter the setting for your network, then click [Save]. For Ethernet2, apply to set LAN port 2. For Ethernet2, settings of default gateway/DNS server address are impossible.